The 'Hobo Composer' Harry Partch was 'irascible but also magnetic' says his biographer, UMKC professor Andrew Granade. American composer Harry Partch lived an unconventional life. A dreamer and a traveler, he devised an original system for making music and built dozens of instruments to bring that dream to reality. More than 20 of Partch’s instruments are in Kansas City this week, with performances, demonstrations and lectures. When Partch died in 1974, he never expected his music to exist much beyond his own lifetime, Granade says. 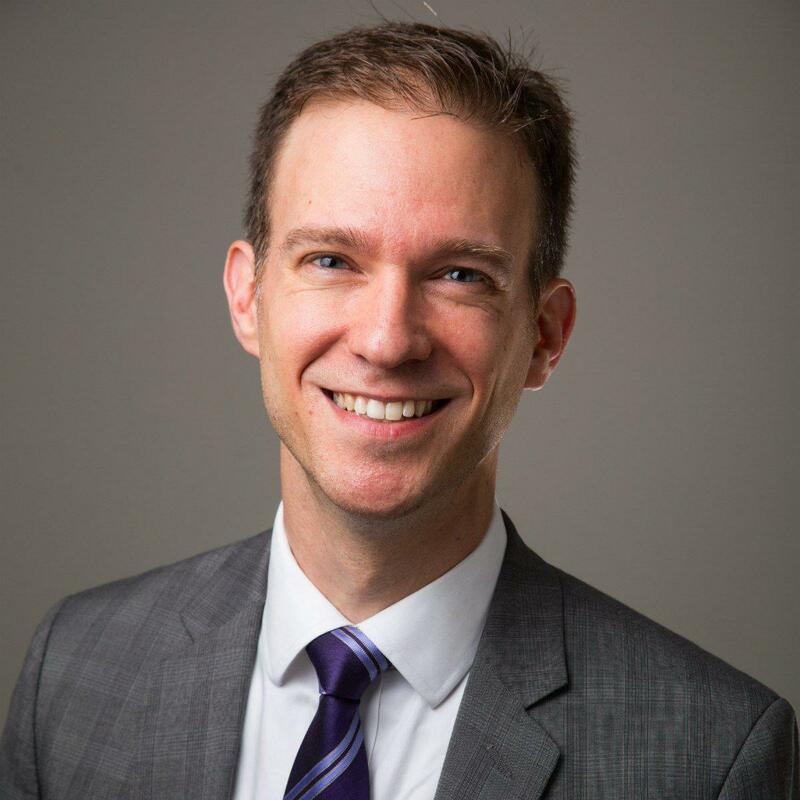 Andrew Granade, a professor at the University of Missouri Conservatory of Music and Dance, is one of Harry Partch's biographers. Between 1928 and 1943, he was essentially homeless. “He would get jobs — dishwashing, proofreading — and then that would dry up he would go on the road again and he would get another job, so he just kind of bounced around for all those years,” says Granade. Throughout his life, these on-the-road experiences defined his career and guided his approach to music. He went so far as to develop a new system of tuning to reflect all of the tonal gradations in the way people speak. Partch ended up with 43 of these microtones. It was an effort to find “the most American kind of sound,” Granade says. Partch was such an iconoclast that he rejected the European ideals of music by burning all of his early work. His subject matter was truly American, Granade says, as was the fact that he built a mythology for himself. What he built, Granade says, is a legacy based on two aesthetic ideas. One, which he called Monophony, was the idea of a single voice being persuasive, which he wanted to capture in music; the second, which he called Corporeality, was that music was “intimately connected to the body both for the performer and with the audience,” says Granade. And those instruments, which Parch built himself, play a central role. His first instruments were adapted from existing pieces, but as his sound world and influence expanded he created larger pieces using found materials — bamboo, wood, glass bottles, artillery shells, carboys, airplane nosecones — with strange, evocative names like Cloud-Chamber Bowels, Zymo-Xyl, Gourd Tree and Spoils of War. 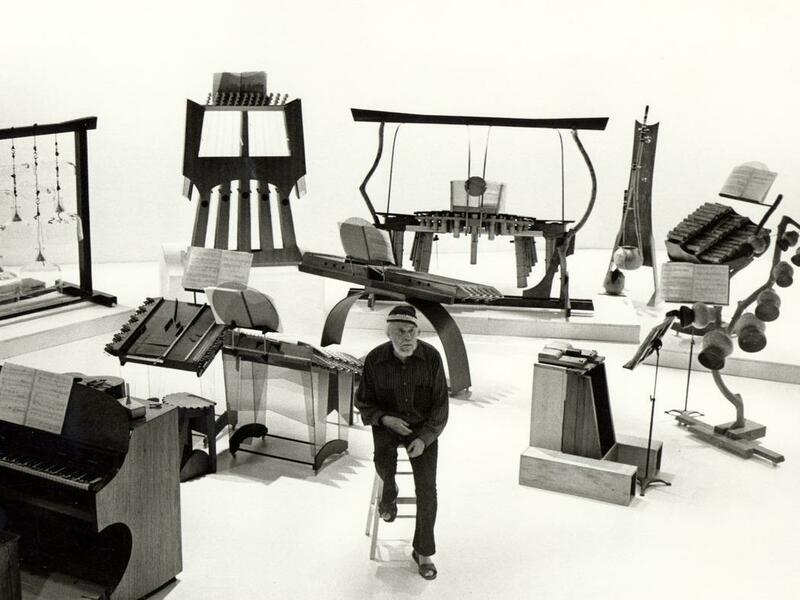 Harry Partch with some of his instruments. Kansas City audiences have several opportunities to experience this unique musical world over the next week, with a series of free events at UMKC, the Nelson-Atkins Museum of Art and the Kansas City Art Institute, featuring the University of Washington’s Harry Partch Ensemble, led by Charles Corey, director of the Harry Partch Institute. The Partch residency culminates with a Feb. 22 performance of “Castor & Pollux” with new choreography performed by Conservatory dance students. Harry Partch “Hobo Composer” Residency includes free events through Feb. 22 in various locations. When some people think about a conservatory of music, they might conjure up images of students playing the violin or piano and studying the works of Mozart and Beethoven. For the first time, the UMKC Conservatory of Music and Dance has admitted a student whose instrument is a computer. Tim Harte will be starting in the Conservatory’s composition program this fall. Pianist Sean Chen connects his role as performing artist with that of teacher, approaching piano's vast repertoire with humility and fun. Chen, who is now an artist-in-residence at the University of Missouri-Kansas City Conservatory of Music and Dance, moved to Kansas City from New Haven, Connecticut, two years ago, when his wife Betty, a violinist, joined the Kansas City Symphony. That gave him an instant local connection, and he's collaborated with some Symphony musicians for chamber concerts around town. A graduate of the UMKC Conservatory of Music and Dance has won a Latin Grammy. Andrés Salguero, who performs as 123 Andrés, won in the Best Latin Children’s Album Category for his record Arriba Abajo at the award ceremony Thursday in Las Vegas. His 2015 album, ¡Uno, Dos, Tres Andrés en español y en inglés!, was nominated in the same category.